History of matunga : Matunga is a known haven for ancient temples. However, a lesser-known fact is that Matunga is also home to an ancient Lord Shiva temple – Kashi Vishveshwar, which is over two centuries old. Peacefully nestled in the busy lane of the City Light Market at Matunga, the Kashi Vishveshwar temple – better known as Kashi of Mumbai – stands out in sharp contrast against the busy market surroundings. Originally built in 1783 by Dadoba Jagannath Mantri for his community – Somavanshi Pathare Kshatriya, which is one of the oldest communities of Mumbai. Matunga was among the first well planned localities of Mumbai. The Dadar-Matunga-Wadala-Sion plan of 1899-1900 was formulated to evenly distribute population as well as provide better living standards. 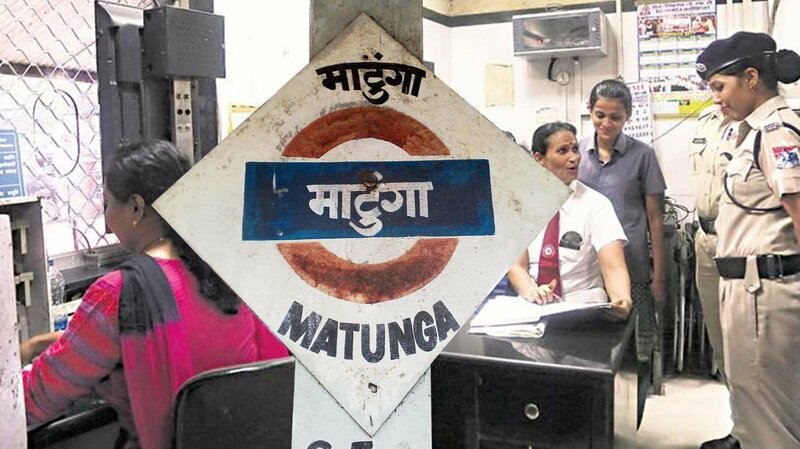 Matunga is a fusion of Irani cafes and Udupis and houses one of the oldest residents of Mumbai..
2. Top colleges in Mumbai! 3. Country’s first ladies special station! Country’s first ladies special station. 4. Victim of 9/11 bomb attacks. 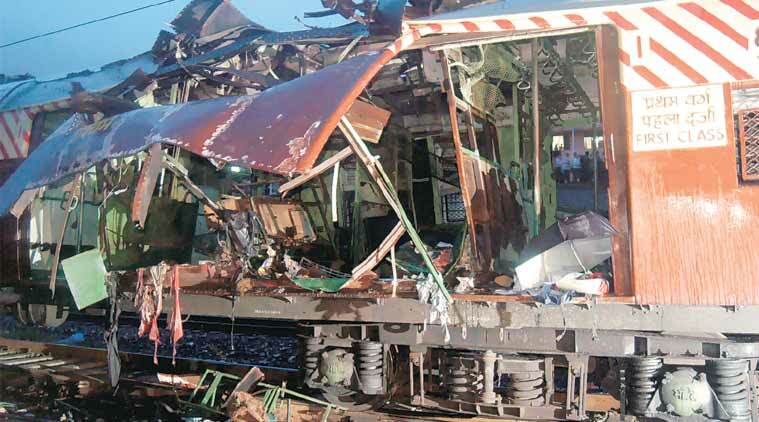 7/11 will be etched in the memory of passengers of the 5.57 Churchgate-Virar fast train for a long time to come. It was 6.15 pm when a bomb exploded in the first-class general compartment, seconds after it left Dadar and was approaching Matunga Road station. 5. Blast at Matunga Road station was heard at Shivaji Park. The sound of bomb blast was so loud that it was heard it Shivaji Park. 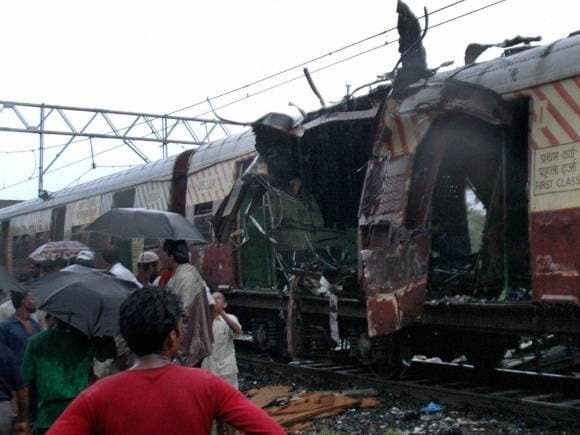 Some passengers were so shocked by the deafening sound they remained rooted in the train till helpers pulled them out. Help came from bystanders, taxi drivers and residents of Indiranagar slums at Dharavi. 6. Mumbai’s first engineering college? Mumbai’s first engineering college, Victoria Jubilee Technological Institute also known as VJTI today famous for best engineering placements was founded in 1887 at Mumbai. Later it was renamed Veermata Jijabai Technological Institute. 7. Mumbai’s best south Indian restaurants? Matunga has some of the best top rated south indian restaurants like Hotel Ramashray,Cafe Madras,Ramanayak Udipi,Cafe Mysore,Mani’s Lunch Home,A Rama Nayak & Sons Udipi. 8. Don Bosco Church / school. Don bosco ,one of the most famous Church / school in matunga has an area of 60,000 square yards. It costed a whooping Rs. 229,160 at that time woa! 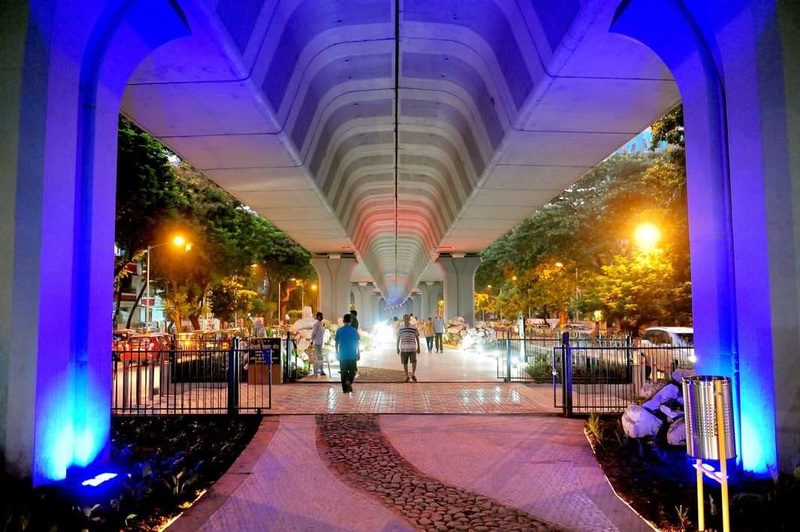 The brainchild of the ‘One Matunga’ residents’ group, the garden-under-flyover was intended to beautify the space and rid it of the many gamblers who often housed shops there. The beautiful space consists of a children’s park but its main attraction is the 600-metre long meandering jogging track that is shaped like the Narmada river.